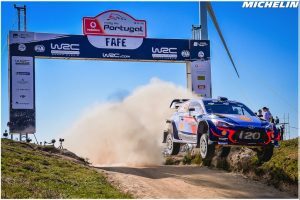 As Thierry Neuville flew over the Fafe jump taking a commanding Rally de Portugal win and moving into the championship lead all eyes were on the championship standings. How long did that last? The shocking news to be released by Citroen racing regarding Kris Meeke’s sacking shook the rally world and while debates roared on, conversations about the championship’s new leader disappeared into the background. 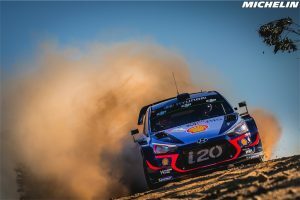 As eyes start to focus towards the island of Sardinia questions will emerge as to how Neuville will now deal with the challenges before him. The next two events could be crucial with the European gravel events trying to undo the Belgians hard work with some road seeping chores. Sardinia has often been kind though to Thierry taking a win and two podiums in the last three years, and luck could swing his way with rain potentially forecasted the championship leader may be in a favourable position to extend his lead should the feeling come to him. A point of interest may come from Sebastien Ogier’s approach to this event. The Gap man has had a championship strategy in mind for years, never taking excessive risks ensuring a good point haul from every round. 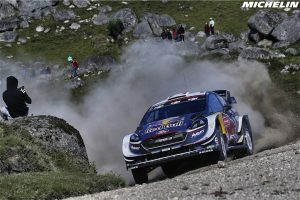 However if Neuville continues his current form Ogier may have no option but to push his limits. Allowing Thierry over an events point lead going into the final rounds would leave him with no options but to push anyway. There is still a lot of the 2018 season left and the potential storylines are numerous however as we approach the second half of the season the approach to each rally becomes more and more crucial for our title contenders.